BattleshipMay 15, 2012 (US)Battleship is making a comeback! Features Action-Packed Gameplay: As a side story to the upcoming Universal Pictures' film, this fast-paced FPS puts you at the forefront of an extreme alien attack. 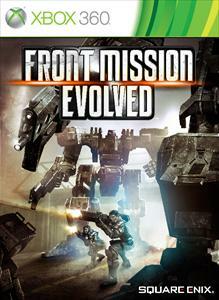 Facing hazards across land, sea, and air - t..
Front Mission EvolvedSep 28, 2010Front Mission Evolved brings the classic Front Mission franchise to the Xbox 360. Terrorists have slipped under the radar, commencing a surprise attack on New York... Front Mission's latest evolution is a new breed of third-person shooter, placing..
HarkerCanceledIn the game, players take on the role of a very different Jonathan Harker - hardened and ruthless - who is on a very personal mission to destroy all vampires after his beloved Mina falls prey to Dracula. 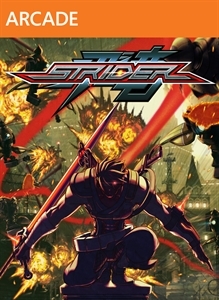 Gameplay involves a combination of hunting the..
StriderFebruary 19, 2014Strider returns in a brand new adventure, complete with incredible side-scrolling action, and lightning fast combat all in a massive interconnected world! Download the full game now and become the original assassin!..